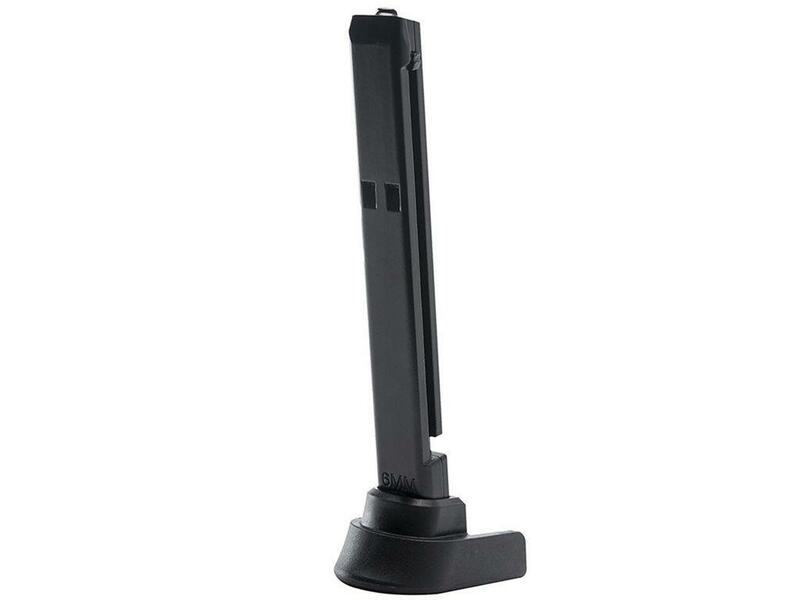 Umarex HK45 15rds Airsoft Magazine | ReplicaAirguns.ca | New Website! Double up on your HK45 CO2 Airsoft magazines for twice the fun. If you're the type of shooter who prefers to send out a high volume of shots during games, you're going to need multiple magazines. 15 rounds will go quick when your trigger finger gets excited so you better bring a few extra magazines with you onto the field. No one likes running out of BBs in the middle of a gun fight. Make sure you've got plenty of mags to outlast the opposing force!